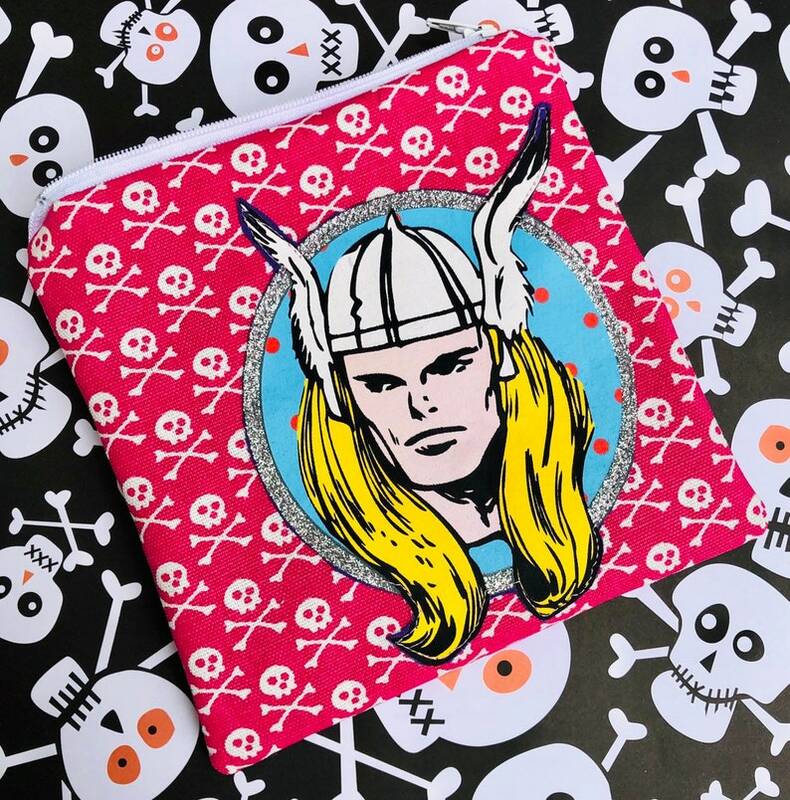 Thor Zipper Pouch - God of Thunder, Superheroes, Comic Books. Hello! Thank you for visiting my shop. <3 Please know that this item was handmade by me on my sewing machine (not in a factory!). This Thor pouch is the only one that will ever be made. This one-of-a-kind zipper pouch was made using pink fabric with white skulls all over. I added a super colorful retro Thor applique. I gave the pouch a white zipper and solid black lining. Lord of the Rings Zipper Pouch - Metallic Gold. The Legend of Zelda Zipper Pouch: Videogames, Geekery. CLEARANCE Mustache Zipper Pouch: Geekly Chic, Hipster. On Sale.